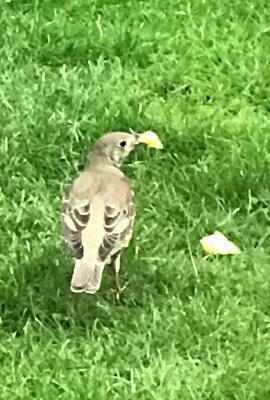 I thought it might be a thrush variety but the markings on the back as well as the front are quite startling so I was inspired take pictures as it ate a piece of apple. I managed to upload the incorrect pictures with David's description - apologies to all, especially BigC who went to the trouble of identifying the bird in the incorrect photos. 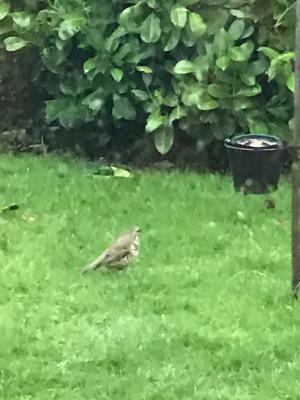 I have removed BigC's post as it relates to different photos, but thank him for his efforts to assist in identifying the bird.